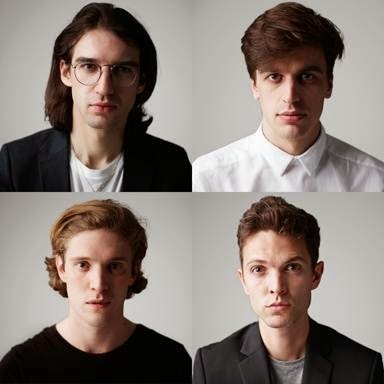 Spector's 2013 debut album 'Enjoy It While It Lasts' was reasonably well received - a breezy indie record. Their ambitions have since increased, as demonstrated by the moody 'All The Sad Young Men', the first single from their follow up album. We particularly like the atmospheric Fairewell remix of the single, which you can listen to below alongside the original track. We remember Spector frontman Fred MacPherson harmlessly pratting around at school (Daniel Blumberg of Hebronix/Yuck fame was of a similar ilk), and he's brought his wit and angst to the fore on 'All The Sad Young Men' - the cutting opening lyric of "no, nothing ever really started with a kiss" being just one example. Johnny White's remix in his Fairewell guise beautifully sways and swirls into some sort of a dancefloor-befitting synth smash. Find more info at spector.co.uk and facebook.com/fairewell.